The NCA is a first step towards peace. Peace negotiations can continue only after a ceasefire, and armed struggle line is not possible in politics. Thus, the NCA signing is an initial requirement. 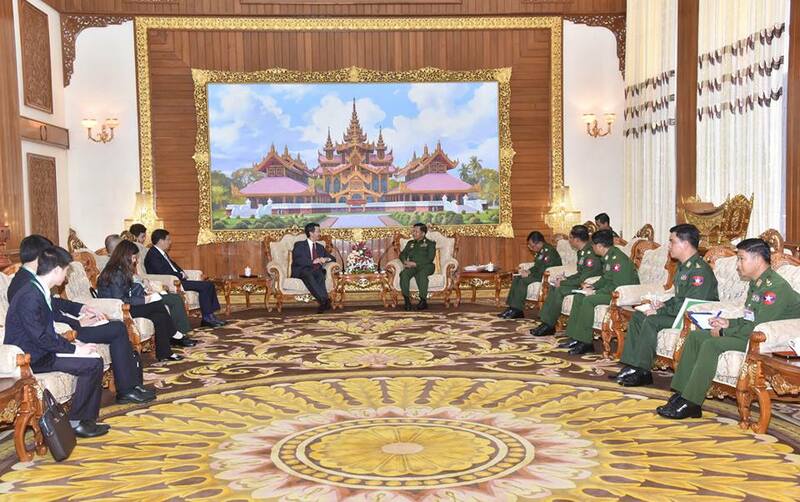 The Tatmadaw for its part is ready to coordinate with the ethnic armed groups that have yet to sign the agreement, said Commander-in-Chief of Defence Services Senior General Min Aung Hlaing as he met H.E. Mr. Sun Guoxiang, Special Envoy of Asian Affairs of the Ministry of Foreign Affairs of the People’s Republic of China, at Bayintnaung Parlour here this morning. 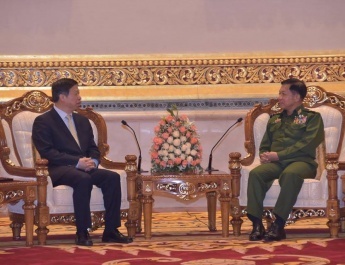 Also present at the meeting were Lt-Gen Soe Htut and military officers of the Offi ce of the Commander-in-Chief (Army), Chinese Ambassador to Myanmar H.E. Mr. Hong Liang, the Chinese military attaché and officials. The Chinese special envoy expressed his government’s stance saying that China strongly supports Myanmar’s peace process. 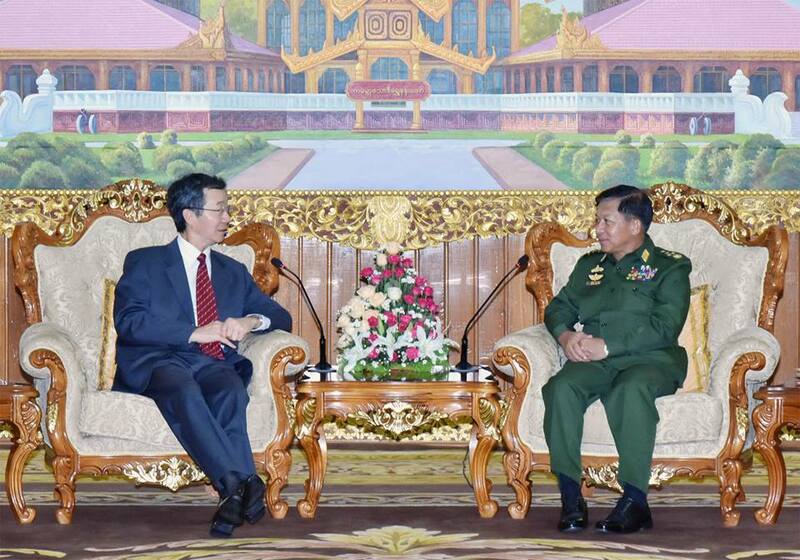 He also expressed his belief that Myanmar’s peace process has good prospects. He then discussed China’s close coordination with the ethnic armed groups in northern Myanmar in the peace process, China’s support of the effort of the Myanmar government and Tatmadaw to maintain national sovereignty in the Rakhine State issue, continued support and assistance as a good neighbourly nation, China’s close cooperation in counter-terrorism, promotion of bilateral relations and cooperation and matters related to holding the 19th Chinese Communist Party Congress to be held in China. 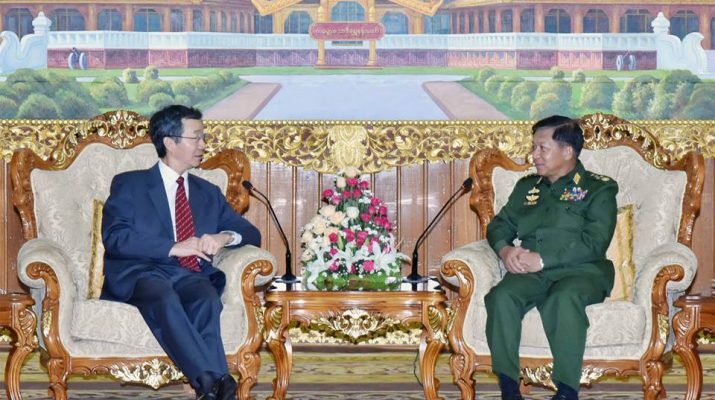 In response to the discussion, the Senior General expressed his thanks to China for its cooperation in Myanmar’s peace process and for its staunch support of the Rakhine State issue on the international front including the UN. 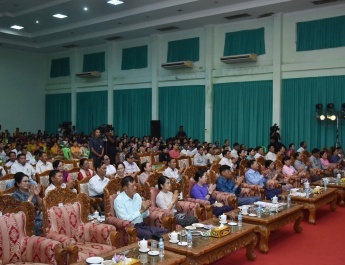 He then discussed the essential need to achieve peace for state peace and stability, the signing of the NCA with eight ethnic groups only although the coordinated discussion was made with 16 groups to implement the NCA and the Tatmadaw’s readiness to negotiate with the remaining groups so that all ethnic armed groups become signatory to the NCA based on the spirit to maintain multi-party democracy and Our Three Main National Causes. 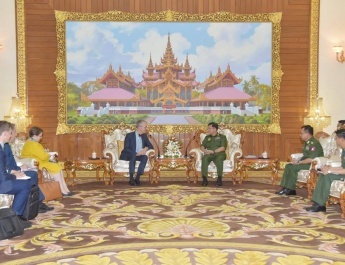 The Senior General continued to say that even though the government and the Tatmadaw are acting correctly in line with the law, the facts the international community has known is found to be wrong. As the ambassador had already witnessed the regional situation in person, it is believed that some firm evidence even though not a complete one has been received. Myanmar invited cooperation for releasing the authentic information about Rakhine region internationally. Myanmar has been extending cordial relations and cooperating with all neighbours including Bangladesh. In so doing, correct knowledge of the ground situation is important. Information in support of the Bengalis who fl ed to Bangladesh is just an exaggeration and is untrue. Myanmar will adopt an appropriate and constructive approach. Bilateral military cooperation including closer cooperation in combating terrorism will be further enhanced. The Senior General wished the 19th National Congress of the Communist Party of China a success, and prayed for adopting resolutions and action for further progress. After the call, the Senior General and the Chinese special envoy posed for group documentary photo.